Fortunately, the ’80s coincided with their real coming of age – in terms of voting power & access to positions of authority. Yes, it was gussied up as Reaganomics, but it was really far more basic & visceral than that…Boomers simply reclaimed what they saw as their birthright. By God, they’d tasted true American freedom, wealth & power, and they wanted it back! And they sure as hell weren’t going to repeat the hardships of their parents & grandparents, or the economic & political ills of the previous decade. And surely the ’70s were just a bad joke anyway, that could & should be blamed on the outrageous machinations of an oil-rich Middle East?! The Me Generation was ready for a new form of exceptionalism – they deserved to party, and damn the cost! We have to remember World War II was as much an industrial victory for the US. In its aftermath, Europe was in ruins, Japan was bombed back to year zero, and a large portion of the world was disappearing behind the Iron & Bamboo Curtains, while various statist regimes also dominated much of the rest of the world. Faced with no real competition, and blessed (at the time) with an economy & culture which could actually deliver a long-term compact between government, big business & unions/workers, the US was able to exploit a gigantic head-start vs. the rest of the world. This led to an explosion in wealth & living standards, which got shared ’round pretty equally for the next few decades – thereby cementing the myth of a classless society, the idea all Americans are middle class. Granted, there’s some truth to this. In the old-fashioned English sense of class, America was pretty classless…except for the fact class was simply replaced by money. But this didn’t matter so much in the post-war decades. The extraordinary & relatively equal rise in wealth and incomes meant a predominantly blue-collar workforce could enjoy a very comfortable middle class life (particularly from the rest of the world’s perspective). Over time, this enjoyment turned into entitlement, and the idea such affluence was (to a fair extent) a happy accident of history was conveniently forgotten. And then the ’70s came along, and this government-business-labour compact was essentially destroyed. Unfortunately, it was also accompanied by the relentless rise of Germany & Japan as export machines. By which I mean the fall of communism, the most important historical event since WWII. People inevitably remember the fall of the Berlin Wall, which heralded the dissolution of the Soviet Union – even though Tiananmen Square came first (just months earlier, in Jun-1989), basically forcing an acceleration of China’s rural-urban migration & its transition to a capitalist economy (thereby relegating communism to a mere system of political control). Of course, others remember Gorbachev. But to some extent, these were all symbolic – the seeds were sown a decade earlier. At the 3rd Plenary Session (of 1978), for example, where Deng Xiaoping came to power & launched China firmly on the road to economic reform. [Incidentally, Gorbachev was appointed to the Politburo around the same time, on course to becoming General Secretary in 1985]. And far more importantly, in 1980, with the emergence of Solidarity in the Gdansk shipyards. Today, I’m not sure we can viscerally appreciate the sheer brass balls it took to face down the Communist authorities in Warsaw (and in turn, Moscow) during the ’80s. Nelson Mandela would be a popular choice these days, but for my money the enduring hero of the late 20th century is Lech Walesa. His defiance was the genesis of all subsequent protest & revolution in the Soviet Union, leading to the dismantling of a system that killed tens of millions. Of course, the end of the Cold War was rapturously received by America & the rest of the world. I definitely wouldn’t under-estimate the effect of this… In fact, I’m convinced the psychic impact of no longer staring down the barrel of a Soviet nuclear silo was far more effective than the Fed’s current & otherwise unprecedented experiment in QE – in terms of actual economic stimulus. The idea you’re no longer going to die in a nuclear holocaust, or some Soviet gulag (hey, the Cold War was an anxious time! ), is probably the greatest & most enduring wealth effect one could ever imagine. And I believe its impact lasted for many years after, probably well into the 2000s. Of course, the fall of the Iron & Bamboo Curtains, and the gradual liberalisation of many statist nations in its wake, finally unleashed a multitude of countries & nigh on two billion people to become active participants in the world market economy. And boy, do those countries love to save (funny how mercantilism has become a dirty word in the West)! As do their people… Yeah, they’re poor by American standards, but they save far more (in percentage terms), and there’s a hell of a lot more of ’em! They’ve got to stash the money somewhere, the dollar’s still the world’s reserve currency, and encouraging America’s wastrel ways probably seemed like a good export strategy anyway… So funding its addiction to never-ending deficits & increasing debt (at ridiculously low interest rates) has become a real doddle for the US – well, as long as that global savings glut remains available. However, the average Boomer most definitely hasn’t enjoyed the same peace dividend. The gradual unleashing of a couple of billion people (on ridiculously low wages) into the world economy was obviously an existential threat for blue collar (& now white collar) America. German & Japanese competition was a cake walk compared to what was coming over the horizon. But misgivings were soon forgotten as cheap products started pouring into the US, and people were zombified by a whole new level of consumerism. The same thing was happening on a local level: As Wal-Mart & other big box stores opened on the edge of town, everybody insisted they wouldn’t shop there at first. Then they made a visit, just out of curiosity…but soon they were back for the bargains. Naturally, everybody spends a little more & saves a little more (the more you spend, the more you save! ), and soon the town begins to think it’s a win-win for everybody. Except one day everybody wakes up, and wonders what the hell happened to Main Street…where did all the damn stores, businesses, restaurants & shoppers go?! [And now we’re a step away from MOOCs being unleashed on the rest of the world as an alternative low cost/high quality education. A smart Indian kid isn’t trying to find himself, or pick a good party school, and he definitely isn’t trying to rack up a six-figure debt funding keggers, pizza & four star spring breaks – he simply wants a decent education in double-quick time, and for a fraction of the cost. And now he’s on the verge of being able to access it…US Millennials may want to start thinking about how exactly they’re going to compete with him]. Ever since the ’80s, this Boomer mentality & notion of growth at all costs has enslaved the US in its self-appointed role as the growth engine of the world – in effect, a never-ending global Marshall Plan. The dollar’s suffered accordingly, and its decline would surely be far worse if it wasn’t for the Western world going down much the same path (albeit more sedately). [Not that it’s a one-way bet – ironically, the more the US debases the dollar & its finances, the more the dollar may benefit (sometimes for years on end) from the resulting ersatz growth surge. The recent surge is but the latest example]. But equity investors don’t necessarily have to care so much about inflation or currency depreciation (two sides of the same coin), since they often tend to be compensated accordingly with higher/lower underlying equity returns. But it does matter when the cumulative impact of deficits, debt & debasement threatens to approach an inflection point in terms of national financial stability. [I’m really not trying to pick on the US here – let us labour under no illusions, the developed world’s probably in much the same fix. In fact, Japan’s already run the same course, decades in advance of the US – including its own version of the financial crisis, almost 25 years ago now (in 1990)! 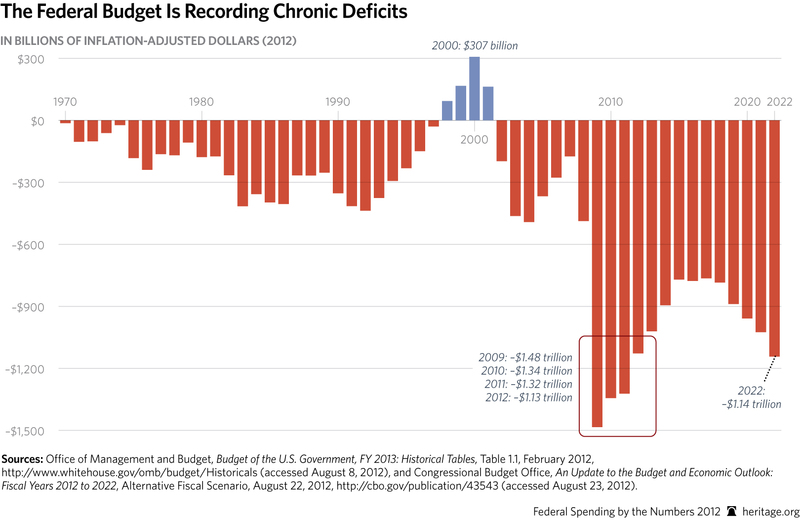 [And they’ve continued to debauch their finances ever since, with Debt-to-GDP now a mind-boggling 230%+]. And while Europe has a superior debt-to-GDP ratio & a household savings rate 2-3 times the US rate, and may still be serious about tackling its fiscal imbalances, realistically we must be fearful it’s ultimately heading down the same path]. Now, we all know America’s infrastructure is becoming increasingly decrepit (don’t even try comparing it with Asia’s) – another sign the US isn’t as rich as it thinks it is… [Simply recognising that problem would greatly help the solution]. But this offers tremendous opportunity: If cutting discretionary spending & tackling bloated entitlements were seriously considered, the negative economic impact of such reform could be offset with a comprehensive multi-year infrastructure programme. This spending strategy wouldn’t necessarily improve the near-term US debt trajectory, but it would substitute productive investment for wasteful spending, it’s a spending commitment that could be gradually throttled back, and of course it’s a gigantic employment/training programme. Then there’s the bizarre lack of US PPP projects, which means there’s a potentially huge opportunity for private capital to absorb much of this infrastructure spending. In combination with sustained spending cuts & entitlement reform, this approach could generate a substantial improvement in the nation’s medium/long-term debt trajectory. – Millennials: Complain all you want, we may be under-estimating Millennials. Don’t forget they do everything later in life – getting a job, renting an apartment (buying a house!? ), even buying a car, getting married, having kids, etc. When they finally grow up & start getting on with their adult lives, and actually see what the economic future has in store for them, they might just surprise us. [Remember Johnny Rotten’s famous last words: ‘Ever get the feeling you’ve been cheated? !’] Yes, they fell for the whole college/student debt scam (along with their parents), but otherwise they’re proving to be pretty financially responsible (& conservative). Sure, by previous standards, they may seem apathetic – but that could change very quickly, if they look ahead & feel like they’ve nothing to lose. They may well be the generation who seizes the reins of power & finally tries to turn this fiscal super-tanker around. And we shouldn’t expect protest to necessarily take the same form as before. As they say, the pen is mightier than the sword. Millennials are the unwitting masters of social & digital media…I can’t think of a more immediate & pervasive way to organise, protest & eventually win any debate. OK, so that’s the optimism out of the way. Do I really think we’ll see a meaningful multi-year diversion of spending into infrastructure? Well, it sounds much too sensible a (potential) solution – so, probably not… [But I can easily imagine politicians trying to preserve current spending/entitlements and introducing a huge infrastructure spending programme!?] And I suspect any meaningful reform Millennials might achieve may come too little, too late. Frankly, I’m astonished so many people spend less time debating viable solutions/alternatives, and so much more time agonising whether the US is…turning Japanese. [Sure, the US has a far more profitable & vibrant corporate sector, but it could still end up swamped by the deflationary impact of over-stretched public & private finances]. I believe it’s the obvious default scenario – and there’s nothing theoretical about it, we now have almost 25 years of Japanese depression & mistakes to ponder. But before you start contemplating seppuku…would that outcome necessarily be a disaster? Depends on your perspective really: The Japanese are still rich (but maybe not getting richer), and the average worker’s salary may have fallen, but deflation has allowed them to basically maintain their living standards & also earn a decent return on their savings. So, what’s the big deal? Personally, I’d be perfectly comfortable with the idea of a static income (in real terms) for years to come – go on, try it on for size, it’s an interesting thought experiment to check if you’re genuinely happy with your lot in life. [And we may, in fact, be on the verge of an unspoken conspiracy: Where Western governments & big business are forced to unite & work together to actively avoid further/new productivity gains…when they finally recognise how dependent they really are on preserving the earning & spending power of the average taxpayer/consumer!] But too many people are seduced by the idea earning more & spending more is the key to greater happiness…no different really than the West’s obsession with growth at all costs. I won’t predict the timing, but eventually this will have to change…and not by choice. You can expect the establishment to eventually discover unexpected silver linings in Japan’s ongoing depression. [Just as Bernanke was a Depression expert, I’m betting Japan will be a pet subject/thesis for a future Fed Chair]. And slowly but surely, you’ll see the idea a 200%+ Debt-to-GDP ratio is perfectly sustainable taking hold as economic orthodoxy. 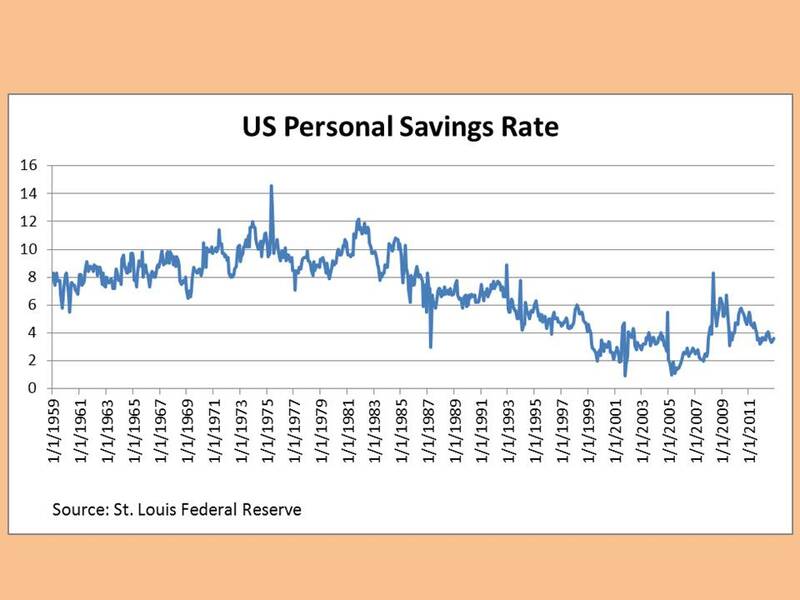 The US does benefit from its reserve currency status (just as Japan benefits from a large domestic & risk-averse savings pool), but a higher US savings rate will be desirable (& probably necessary). Unfortunately, this will reduce consumer demand – so it requires a gradual & subtle policy change. [That’s quite an inflection point to watch out for…the US is still one of the few countries where it’s considered patriotic to spend, rather than save!?] But ultimately it’s the lesser evil – a larger domestic savings pool will be needed to fund deficits & debt, and to facilitate the eventual transition of the retirement burden from government back to the individual. With de facto capital controls already in place (consider FATCA, and other US extra-territorial over-reaching), plus a widespread reliance on tax-exempt savings vehicles, the authorities will find it easy to guard against capital flight & to subtly steer more savings into government debt. [For example, ongoing money market fund reform’s touted as protecting savers – in reality, it will conveniently re-allocate a substantial chunk of this $2.6 trillion sector into government debt]. So, what does this all mean for investors? Well, I’ve touched on this repeatedly in my blog posts, and it obviously helps guide my Portfolio Allocation (Parts I to XV). I’m talking about a long event horizon here, so my current (mild) aversion to the US equity market is more about valuation & relative risk/reward, rather than its long-term prospects. And I still prefer European equities: In my opinion, lower corporate margins, cheaper valuations, Europe’s position (vs. the US) in the economic cycle, and the ECB’s huge & still untapped firepower (vs. that of the Fed), all present a superior risk-reward proposition – in terms of market upside, and in terms of potential restructuring and M&A. But as I’ve said, Europe may well follow in the footsteps of the US…and mightn’t even be that far behind, at this point. In reality, I suspect developed market opportunities will increasingly come from discounted assets, activist/special situations & private equity-type investments – rather than your average growth-oriented companies/stocks. Western companies which possess high value brands & other intellectual property may still be attractive, but only if a majority of their revenues are actually generated from emerging & frontier markets. In most instances, in terms of risk-reward, I expect better growth investments will be found locally – so emerging & frontier markets and stocks should become a dominant focus for investors who are serious about protecting & increasing their long-term wealth. The lack of developed market inflation is a somewhat terrifying reminder of how much excess production & labour capacity’s now lying idle. But you can’t escape inflation with this much global monetary debasement… So we’re seeing it in the markets instead – primarily the equity & bond markets, and also the property market (though this is more of a marking-up exercise), while the commodity markets continue to reflect the true underlying state of the developed market (and, to some extent, global) economy. 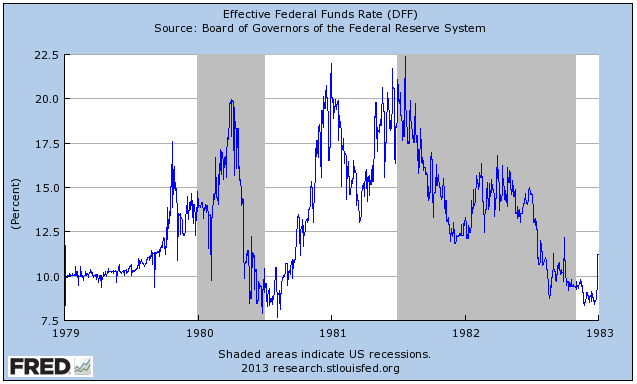 And you shouldn’t expect to see these market underpinnings removed – monetary stimulus will remain a stop-go exercise as every last wobble scares the central bankers, there’s no real possibility the stimulus (to date) can ever be withdrawn, and ongoing financial repression continues to force savers into equities (& other markets). 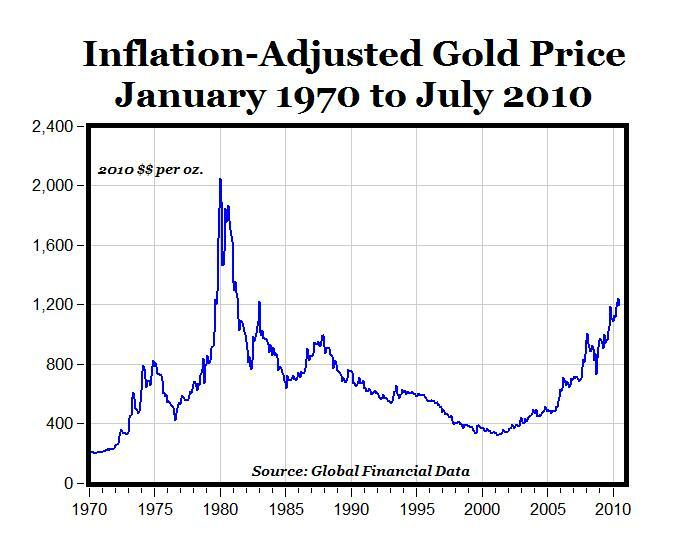 So I’m pretty sure we still have an unprecedented developed market bubble to enjoy first..! Frontier markets are obviously coming off such a low base – in terms of wage rates & the size of their economies – I firmly believe they’ll continue to carve out a larger slice of world GDP & trade for themselves, and also provide an attractive & uncorrelated return for investors. As for emerging markets…as usual, a hand shoots up: Aren’t they screwed if developed markets end up in a permanent growth funk? Well no, I don’t think so – and the fact they’re still ticking along nicely (vs. the developed markets), despite the neutral/tighter policy regimes we’ve seen in quite a few markets, supports that opinion. Anyway, I think it’s a bit of a silly question – in all likelihood, despite a Western slowdown, emerging (& frontier) markets would still offer higher relative GDP growth & lower stock valuations! And now I believe we’re finally on the cusp of a brand-new & self-perpetuating consumer revolution in these markets. If you look at the figures, we definitely appear to have reached a general inflection point in terms of a burgeoning middle class (obviously starting at a radically different price point than the US), across multiple markets. And if they provide insufficient momentum, emerging & frontier market governments can exploit the inherent advantages & firepower they currently have at their disposal to encourage & accelerate such a consumer revolution. [China will obviously be conducting the most significant & essential of these experiments]. Hopefully they’ll exercise more prudence, but at worst they’ll simply repeat the same mistakes…by promising generous entitlements (which won’t come due for years/decades to come, considering average market demographics), they can hope to create an economic step-change via lower savings rates & escalating consumer spending. All of which would serve to pick up any slack left in the wake of lower Western growth, and to offer attractive new/local investment opportunities. Firstly the gains of capital vs labour since the 1980s were not just the result of a secular trend – to potentially mis quote buffet – there was a class war and the rich won. Union rights were removed and capital controls / tariffs were removed damaging much of the traditional working class. I also disagree that the millennials will return to fiscal responsibility and pay the debt. Much more likely they will choose the both easy and sensible option and default. Growing inequality is undermining support for the system, eventually the system will fall and one more in the interests of the ordinary person will be put in its place – one way or another. Why support a system which is screwing you. I dont support the current system and I am relatively wealthy if I was poor I’d be the first to riot in the street! As investors we need to recognise this and avoid sectors where there is likely to be political interference first – most of the utilities are prime candidates for this particularly in the UK. Sure, you can describe it as a class war the rich won & the unions/labour lost. But I think that would be characterising a process of huge change & upheaval simply in terms of the actual end result. In reality, that kind of end result & inequality were pretty inevitable anyway in the West, due to the international market/labour/political forces I’ve described above…. But if you do want to assign blame, in terms of a class war, I’d probably point the figure more at the unions. Their whole purpose was (& is) to be a reactionary opponent in the face of massive & sweeping change – which allowed no scope for educating, retraining or redeploying its members. They won some battles along the way, but by preserving expensive blue collar pay, perks & work practices (in the face of cheaper international labour/competition), they consigned a huge percentage of their membership to permanent unemployment. Ironically, the unions broke themselves…not Margaret Thatcher & Ronald Reagan, for example. A good point, Des – though it really depends on the investment: As they say, never count out the American consumer…well, unless he/she finally goes bankrupt, I guess! A brilliant article that is so bang on the money. Ta very much…hopefully, it’s something to keep chewing on! I quote your sentence: “What an incredible once-in-a-lifetime investment opportunity did what … if only it quietly Existed But it does.” You are absolutely right. The Baby Boomer generation has been through a time of change, consumption and success. Every one, who early recognized this opportunity and invested smartly, has probable build a great prosperity. But do you really think that this is repeating at this moment? You said: “You just have to set sail for the emerging (and frontier) markets to find them …”. Are you talking about a Baby Boom Generation in countries like China, Japan or India? wonni89 – Yes, I do! History doesn’t repeat itself, but it definitely rhymes – there’ll be significant differences, of course, but now a (sustainable) demographic/economic trend is emerging across emerging/frontier markets which looks set to repeat the journey of the Baby Boomers. I don’t mean Japan, but obviously China & India (for example) are two of the most important emerging markets, and both already have huge middle classes. And globally, we’re seeing the same thing – most emerging & frontier markets now have a burgeoning middle class. However, the scale & growth of the middle class will obviously depend on each country’s cultural, political & economic climate and development, so buying these markets en-masse won’t necessarily remain the best approach – country/stock-picking will become increasingly important. What do you mean with “country/stock-picking will become increasingly important”? Should be invested in countries where the BabyBomm takes place, like China or India? How is that supposed to work? Traditionally, investors have taken a fairly passive & broad/scatter-gun approach to investing in emerging & frontier markets, and it’s mostly served them well. But these markets are becoming more sophisticated, and will increasingly be about domestic consumption (not just exports). So while I think a new Baby Boomer opportunity exists right across all these markets, over & under-weighting individual markets (in response to valuations & opportunities) and active (vs. passive) stock-picking will make an increasingly valuable contribution. [To take a contra-example – recently, BRIC markets have been the emerging market laggards for investors, resulting from higher valuations & lower growth prospects vs. the rest of the merging & frontier universe]. Unfortunately, for many investors, this approach may be challenging. They don’t have the desire, or the resources, to actively cherry-pick specific country funds, let alone pick stocks in these markets. If that’s the case, sticking with globally diversified emerging & frontier market funds is a perfectly acceptable alternative – the opportunity is still there, and they can delegate responsibility to the fund managers to try beat their benchmark. For other investors, a careful study of the headline economic indicators & local market valuations will enhance risk/reward – for example, I focus particularly on Vietnam as a highly attractive single-country opportunity. And personally, I hope to (very) gradually focus more of my attention on individual stock-picking in these markets – I’m finding the HK & Singapore exchanges are perhaps ideal candidates, in terms of regulation & the current risk/reward so many of their listed stocks now offer. Thanks for this insightful article! There is just one thing that crossed my mind several times when reading it: Don’t you think that you are relying too much on the fact that the US$ will remain the global reserve currency for quite some time? I’m not sure whether the EU and China are really set on this. In a possible scenario of 1) years of low oil prices 2) a significant portion of trade in oil not paid in US$ and 3) the Chinese unwilling to stack away more US$ the world’s perception on the worth of the US$ might change rather early. Always tempting to predict the demise of the dollar as a reserve currency…but if you look back over the decades, investors & institutions are very slow to change allegiance. For example, the currency allocation of global foreign exchange reserves usually only changes by a mere % or two over a couple of years. Of course, a reserve currency might ultimately reach an inflection point where its decline begins to accelerate rapidly – as happened with sterling – but in all likelihood, this would need to be precipitated by major military or economic event(s)/decline. 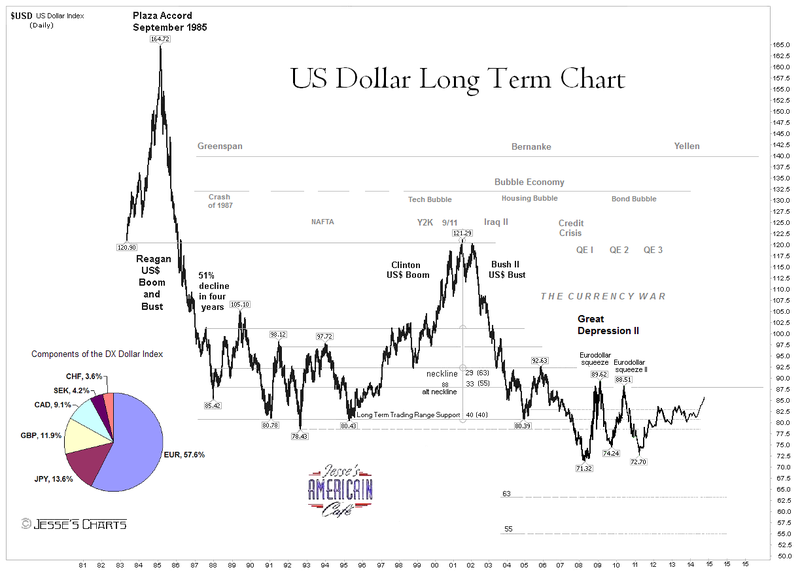 However, I would note the more recent revival of mercantilism & a new willingness of many countries to diversify into real assets (rather than currencies/bonds) – this could pose a new and more substantial/elevated risk of decline for the dollar as a reserve currency (vs. the historical example of sterling). If a country decides to spend themselves out of a crisis then that should go towards improving the competitive advantage of the country which to me means improving the infrastructure. US have failed on that and I am sorry to say that also EU have failed on that. Oh, well, maybe it will work out better the next time. Perhaps, although I think there’s one last great opportunity available to them both (in slightly different ways)…to waste?! ?